Safya Morgan, who took over as Director of the Indigenous Vegetables Initiative at the end of last year, tells us about the work of the initiative in her own words, and provides a window into how her background connects with the mission of Project Wadi Attir. 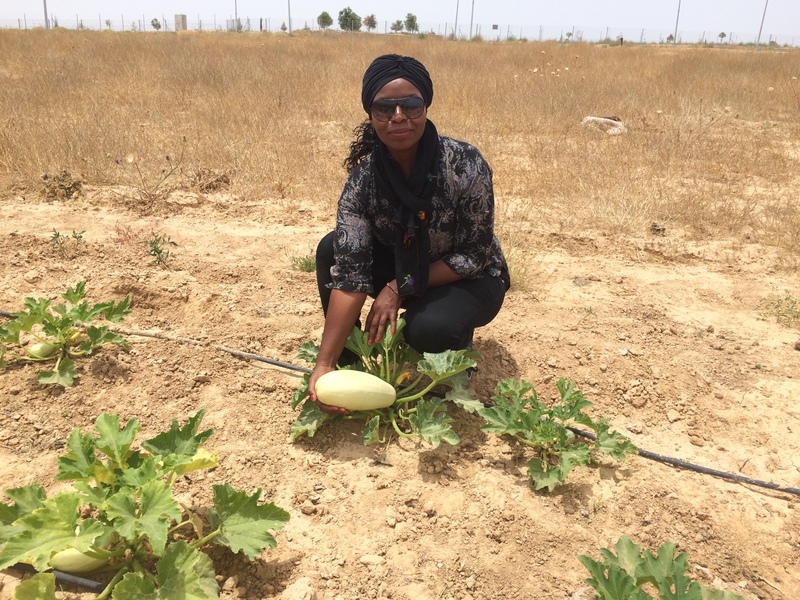 I heard about Project Wadi Attir three years ago from Mariam Abu Rakayek, a co-founder of the cooperative and a Director of the Indigenous Vegetables Initiative, who has known me a long time. She invited me to see the project and to perhaps replace her when she departed. After talking with her, I was impressed with the idea of the project. Then, once I entered the area and saw the pilot programs, I knew that I wanted to be part of it. My father was a farmer who farmed according to the traditional methods of Bedouin agriculture, which I learned. We lived next to Segev Shalom in an open area. We had a very large area, we grew olives and prickly pears, we had fruit trees in the winter and the summer and that’s what we would eat. Even today, it’s really hard for me to buy vegetables from the market, because I grew up on the taste of natural vegetables, which we picked right from the field, as was our way of life. So, I’m naturally very connected to the idea of ​​Wadi Attir, and luckily I was in the right place at the right time. I joined the program in late December 2014; Mariam and I built the plan for 2015 together. The Indigenous Vegetable Program has four main goals: Firstly, the indigenous vegetable seed bank, which is the main project at the moment. We collect the heirloom seeds and then check their quality and to what extent they are “clean” and organic, and if they pass the examination, they will be distributed and sold in the community. 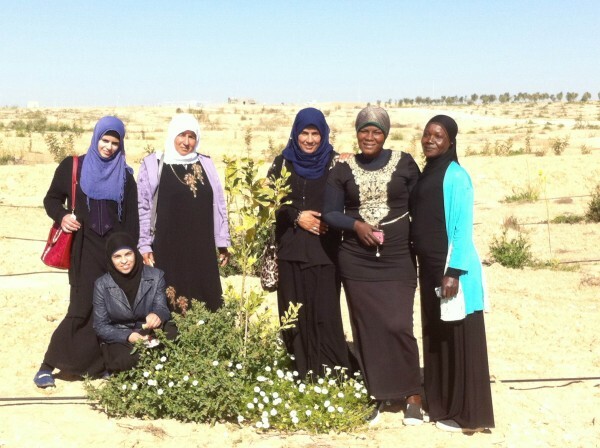 The second purpose of the program is to train women, to integrate the community of Bedouin women in the production of fresh produce through Project Wadi Attir’s program. It’s impossible to engage in traditional agriculture without involving the surrounding community. Where I grew up women were involved in agriculture, it was the domain of women. My mother grew up this way: She did not buy vegetables in the market. We used the summer harvest through winter and the winter harvest through summer. We ate what the season provided during that season, for example, tomatoes only in summer and never in winter. It is important to bring this life back to people, to give them the opportunity to ingest things that are more natural, that do not have so many chemicals, to produce plants that can survive on their own without refrigeration. I’m very connected to this goal. In addition, a training course was built so women will know more about the land, will learn to till it and plant on it. 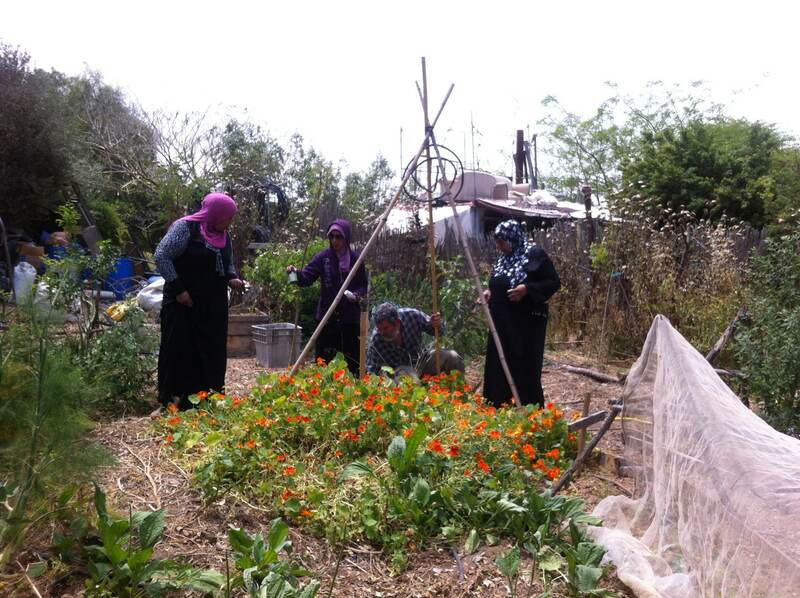 This training is open to women who want to learn how to grow vegetables in their garden in a natural way. The goal of promoting home gardens in the community is very important to me. A group of women working in the field with Gur Rotem of the Adamama Eco-farm in the Negev. 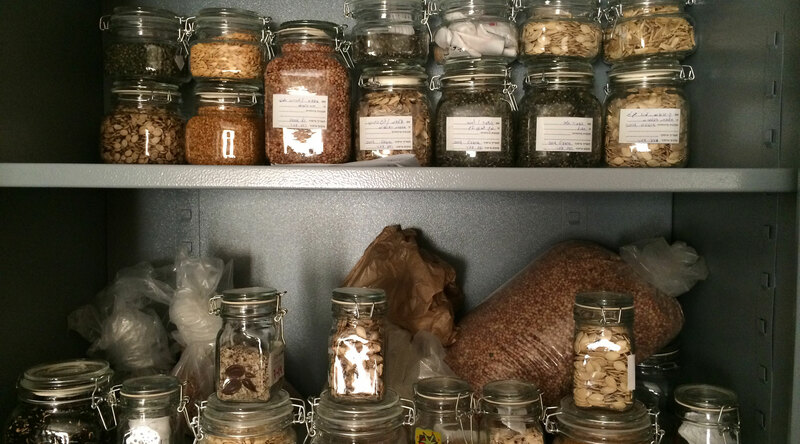 Soon, customers will be able to purchase seeds from our natural seed bank and organic vegetables from our garden. During the summer harvest, we invited people to pick with us, to familiarize themselves with the project. We also have written a program for the involvement of schoolchildren in cooperation with the Visitor’s Center, which will begin this semester. Students will have a piece of land they can work on alone. This is, in fact, the third goal. And the fourth and final goal is to encourage a healthy lifestyle in the community, with a focus on nutrition. We grow vegetables, and so it is a natural extension to promote awareness of healthy living through a focus on diet. This is something that is becoming more important in the Bedouin community, as people are suffering from things they never did before—obesity, hypertension, diabetes, etc—but in general it is still difficult to raise awareness in this area. So people will begin to take our training workshops, then to attend our lectures on nutrition and healthy lifestyle choices, and this is how we plan to get involved in the field and in the community.